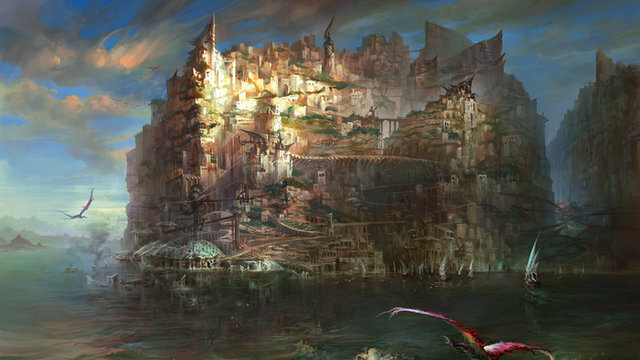 Torment: Thides of Numenera,the “spiritual sequel” to Planescape: Torment, is in its last couple of days over at Kickstarter.And I just can’t find myself being terribly excited by that fact. Planescape: Torment is one of the most highly regarded video games in history, up there with the likes of Mario and Zelda to many millions of people. But this Kickstarter is doing absolutely nothing for me. Maybe it’s that I’m just becoming a cynical old man, or maybe I haven’t looked that closely, but there’s nothing at that Kickstarter that seems particularly interesting to me. Vague promises of where Tides of Numenera is going to and, finally, a trailer of some in game footage. But at this point it looks to be about as promising as any other indie RPG, even if it does have huge industry titans behind it. Ultimately, the promise of what the game could be isn’t enough for me to spend my money on it quite yet. Maybe once I see more. For now, I’ll quietly remain skeptical. But boy, that trailer sure has a lot of spikes in it.